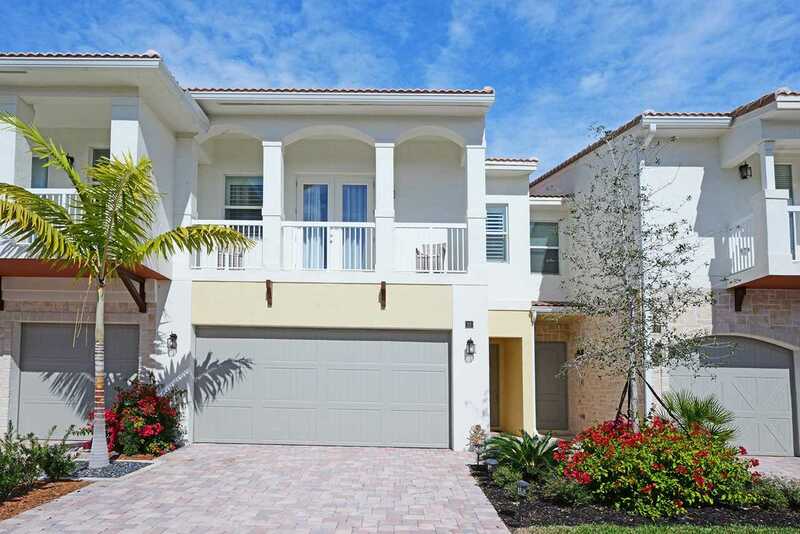 Live in luxury at Boca Highlands/Valletta in East Boca Raton. Built in 2017, this townhome boasts high level upgrades! Porcelain wood tile, level 3 white kitchen cabinetry with carrera quartz countertops in the largest kitchen island of any other model. Great room concept. Head upstairs to an open loft/den with wrought iron detail on beautifully appointed staircase. Upgraded vanity light fixtures & bath accessories. Plantation shutters or transitional shades on every window. All builder lighting has been replaced with elegant chandeliers. The master bedroom is the largest of all models and has a private balcony. Outside is a covered patio & private fenced yard. Community pool & neighborhood dog park. Coming soon is a BRAND NEW 212 acre Boca National Championship Golf course. Lot Size: 0.06 Acres / 2402 Sq. Ft.
SchoolsClick map icons below to view information for schools near 100 NW 69Th Circle #22 Boca Raton, FL 33487. MLS # RX-10502267: This property at 100 Nw 69th Circle #22, Boca Raton, FL 33487 is located in the Boca Highlands/Valletta subdivision and is listed for $518,000. MLS # RX-10502267 has been on the market for 79 days.